This Saturday, 10th September, is World Suicide Prevention Day and on this day Helplink Support Services (Helplink.ie) is joining forces with the Department of Foreign Affairs and the GAA to launch Cabhrú, a new type of support service for the Irish abroad. Cabhrú (meaning ‘help’ or ‘support’ in Irish) is a free online counselling service which will be available 7 days a week. Initially, the service will be available for Irish citizens in Australia during their evening times and each client can avail of up to six free appointments. The Cabhrú team is working with local Irish support services in Australia, as well as the Department of Foreign Affairs Irish Abroad Unit, the GAA and the Crosscare Migrant Project to promote the service and encourage clients to avail of these free counselling appointments. Lochlann Scott, Founder and CEO of Helplink Support Services, stated that “the idea for providing counselling to Irish citizens abroad originally came from Helplink’s counsellors and members of its board. 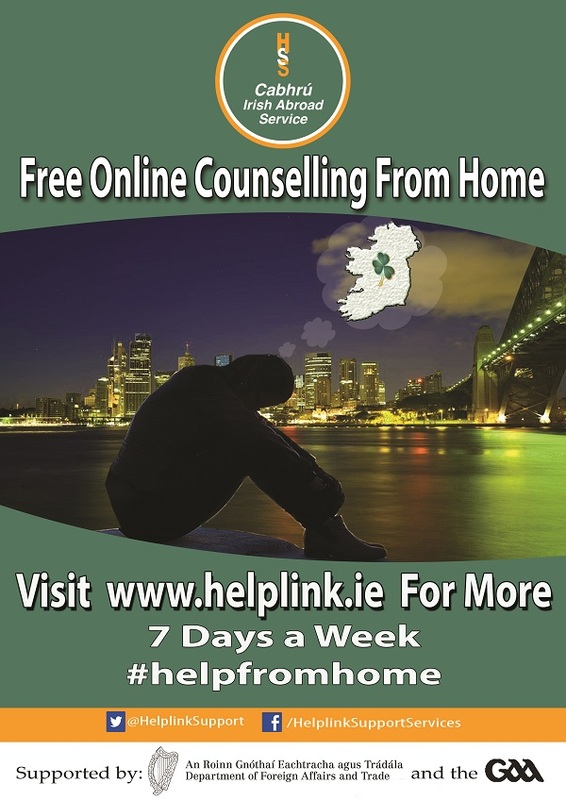 Some of our clients who had been availing of counselling while in Ireland were able to continue their regular appointments when they went abroad for work because of Helplink’s online counselling service. When we, as an organisation, analysed current and previous research in the area of mental health and emigrants we found that they are very unlikely to make use of counselling services in their @HelplinkSupport #helpfromhome @HelplinkSupportServices adopted country of residence. The research also illustrated that some of those who did attempt to engage in mental health services abroad reported many barriers, including encounters with culturally unaware counsellors, which made the counselling process more difficult”. Links to this research can be found at http://www.helplink.ie/cabhru/. 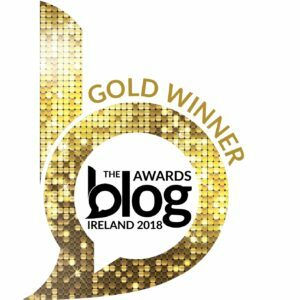 Helplink.ie is a national, non-profit organisation that provides mental health and other social services for free or at low costs. The organisation has been providing thousands of counselling appointments online or by phone nationwide for the past five years and they will now be providing these services internationally. The organisation has plans to expand the Cabhrú service to other countries such as Canada, the U.S.A. and the U.A.E in the future, and is currently seeking corporate social responsibility funding opportunities from Irish Companies at home and abroad to support this potential expansion. More information about Cabhrú can be found at www.helplink.ie . We have also set up a Thunderclap. Thunderclap is a completely safe website that allows people to pledge to Tweet or post a Facebook message all on the same day and at the same time. To register with our campaign please click on this link or go to http://thndr.me/UREwxU and choose either ‘Support with Twitter’ or ‘Support with Facebook’ (or both!). Then on September 9th at 11:00am (GMT +00:00), everyone who has signed up will automatically post a message on Facebook and Twitter promoting our Cabhrú service. Please use this hash tag #helpfromhome when referring to Cabhrú on social media.